Inefficiently managed landscapes increase maintenance costs and waste natural resources. In addition, excess fertilizers or pesticides pollute the environment. By utilizing sustainable landscaping practices, we endeavor to produce beautiful landscapes that reduce maintenance costs and protect the environment. Sustainable landscaping practices produce significant economic and environmental benefits. By applying these economical and sustainable landscaping practices, we encourage healthier, disease-resistant plants. While reducing the amount of pesticide, fertilizer, and other runoff that pollute our creeks, lakes, and rivers. Weeds occur in every lawn, but they seldom become problems in well-managed, vigorously growing turfgrass. Proper site preparation and turfgrass selection before planting are essential to give a new lawn a healthy start. 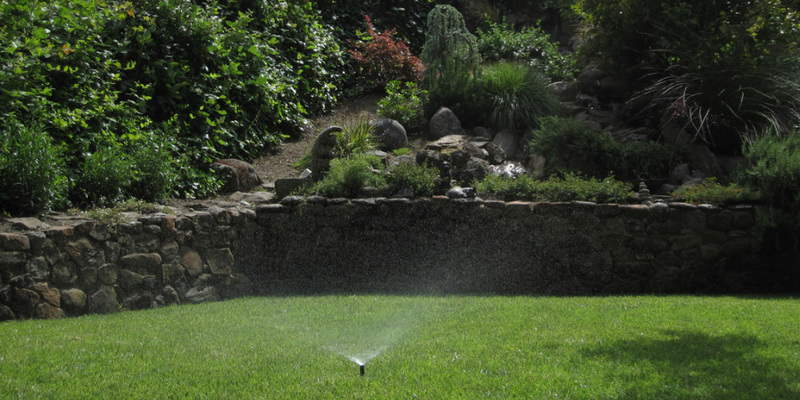 Once a lawn is established, poor maintenance practices that weaken it–such as improper irrigation, fertilization, or mowing—are the primary factors likely to predispose it to weed invasion. Activities that lead to compaction also contribute significantly to turfgrass stress, making it easier for weeds to invade. An integrated weed management program can reduce most weed populations to tolerable levels and prevent large, unsightly weed patches. Total eradication of weeds is not a realistic or necessary goal for most lawns and park turfgrass; however, with good management practices a lawn can be practically weed-free without the extensive use of chemicals.